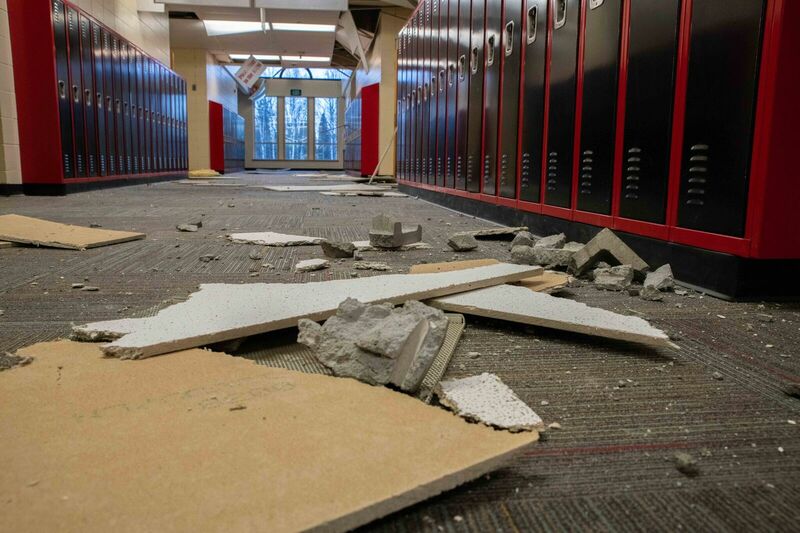 The two school districts affected by last November’s magnitude 7.0 earthquake are reporting they’ve spent millions of dollars on repairs to schools. During a state Senate Education Committee meeting today, Anchorage School District Superintendent Deena Bishop told senators that the district has spent $22.39 million on repairs. Bishop says much of the total can be reimbursed through insurance. Bishop says the totals do not include 15 schools that are currently being evaluated by engineers. Two schools in the district, Eagle River Elementary School and Greuning Middle School, are closed through next school year. Meanwhile, Mike Brown, the operations director for the Matanuska-Susitna Borough School District, told the committee that the damage repair to their schools has cost $1.8 million — $1 million from the school district and $800,000 from the borough. Brown says that doesn’t include damage to Houston Middle School, the only school in the district that won’t be open for the rest of the year. “At this point, we do know that Houston Middle damage is in the millions of dollars with complete replacement as a possibility,” Brown said. Brown says the district expects a report in the next month updating the status of the school. In the meantime, Houston Middle School students have been integrated into 13 portable classrooms at Houston High School, now dubbed Houston Junior-Senior High School. In a separate report to the committee, Tim Edwards, Chief Risk Officer for the University of Alaska system, says $4 million has been spent by the university on repairs to the Anchorage campus and other campuses affected by the earthquake.